After I made the absolutely delicious Pumpkin Squares, I had some leftover canned pumpkin I wanted to use up and just add to something simple. So I decided to add it to my buckwheat cereal. 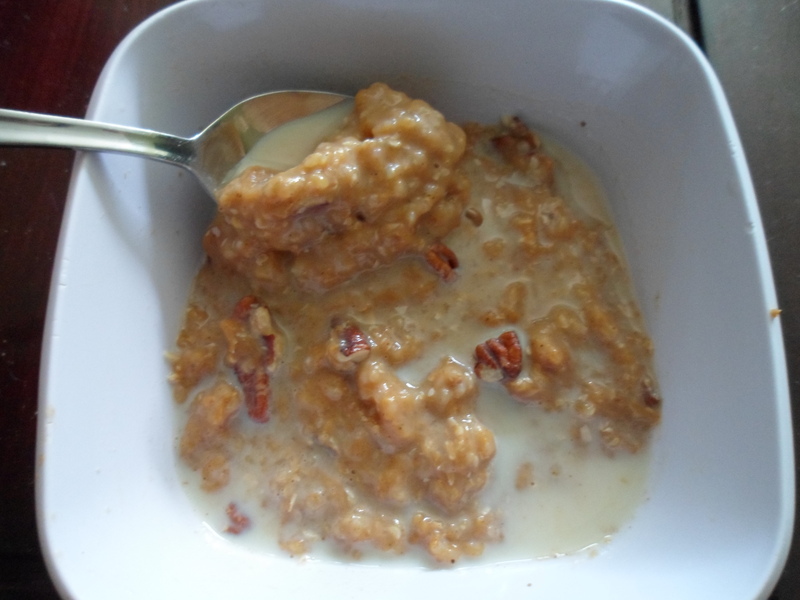 Cooking buckwheat cereal is similar to cooking oats so if you have oats on hand those would work too. 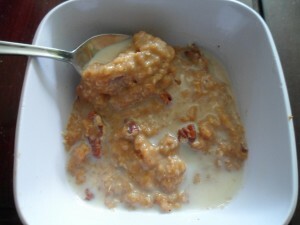 Depending on the type of oats you may need to adjust the cooking time and amount of water added, so keep that in mind. If you never tried buckwheat cereal or have seen it at the grocery store, I purchased my Bob’s Red Mill Buckwheat Cereal at Publix, so you don’t have to go to a fancy health food store to get it. Basically I just made the cereal and added the pumpkin and spices and then topped with skim milk and pecans. So it is super easy and adds some extra vitamin A and fiber to your morning cereal as well as some nice fall flavor. Bring water to a boil in a medium sized pot and then add buckwheat cereal. Turn down to a simmer and cover pot. Simmer for approximately 10 minutes or until water is absorbed and buckwheat has softened. Add pumpkin, spices and honey and mix together. 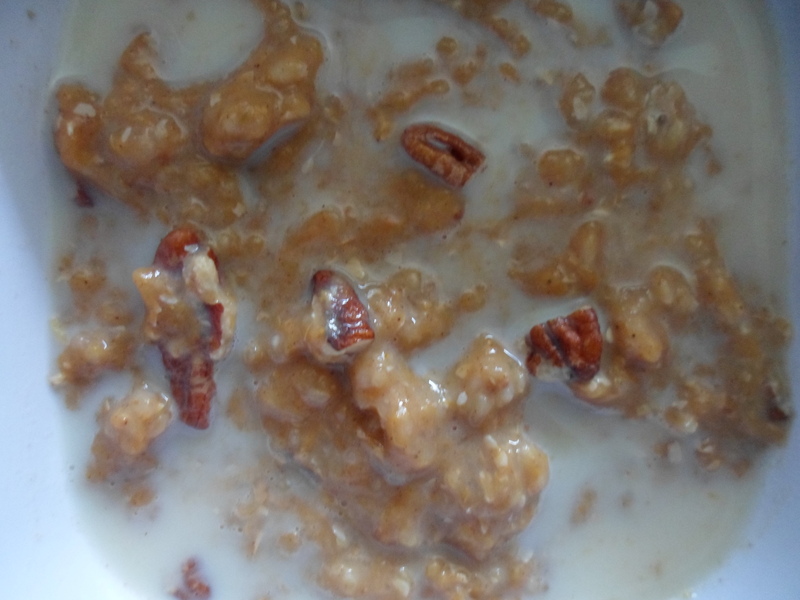 Divide into two bowls and top each with 1/4 cup skim milk and 1 tablespoon pecans.